I love pretty gingham! That simple, classic pattern has always appealed to me. I know that must me I’m a bit country… but I am, so that’s OK =) I was at Michael’s (craft store) recently and stumbled upon some cute gingham pinwheels and napkins. 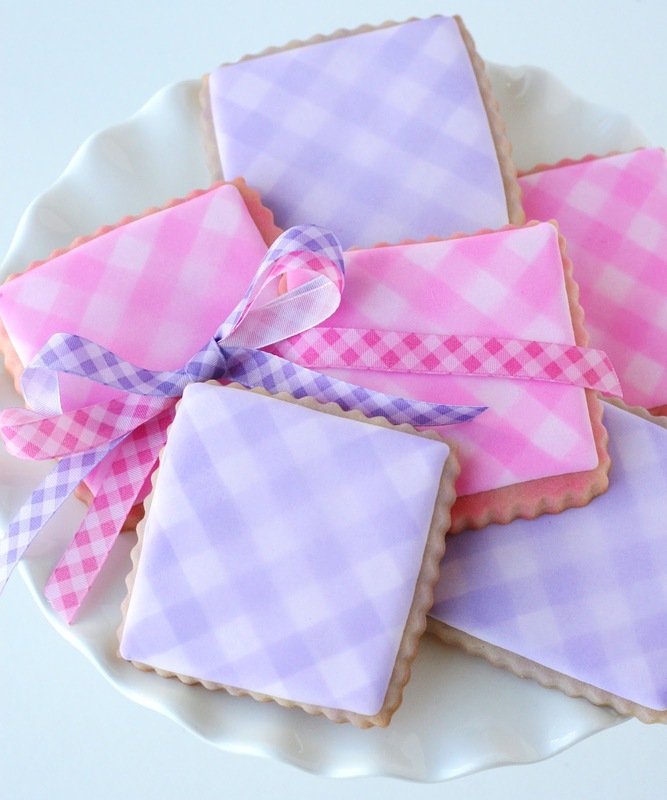 I picked them both up, trying to convince myself why I “needed” them… and I quickly decided I could make some gingham cookies! 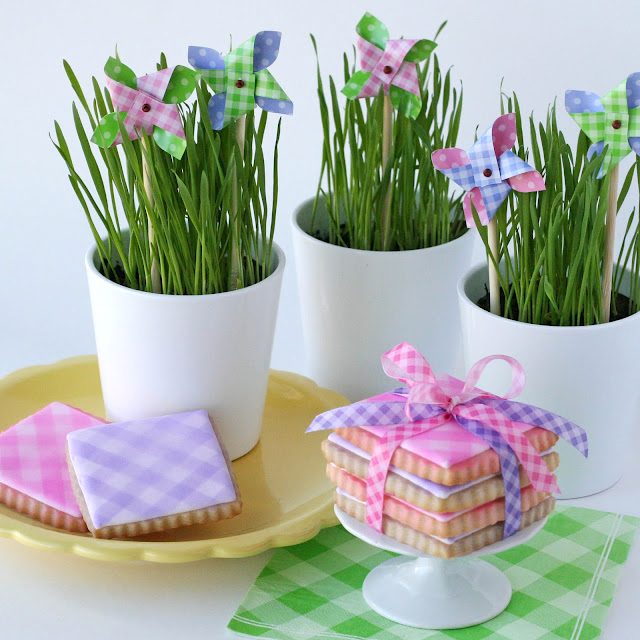 Several months ago, Callye (Sweet Sugar Belle) made some beautiful (and easy-always a bonus!) ombre cookies using spray food coloring. I’ve never tried the spray coloring, but have been wanting to give it a try ever since I saw her results! I thought it might work for gingham too, so I bought two colors and headed home. And sure enough… it DID work! =) Thanks Callye! There was a little bit of a learning curve with these, and some I sprayed more evenly than others, but in general I was quite happy with the results and will have fun playing with this technique again! First, you’ll need a batch cookies. Here’s my Sugar Cookie Recipe. Then, make a batch of Royal Icing. (A). 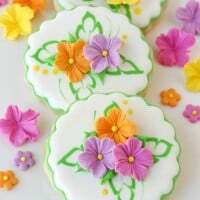 Outline and flood your cookies using white icing. I used a square shape, but a circle would look good too. Allow the cookies to fully dry (overnight). (B). While the cookies are drying, make a stencil using cardstock paper. I used and exacto knife and a ruler and cut strips that were 1/2 inch wide, and at least an inch longer than the width of the cookie. 1. (as pictured, although I took the photos after I had completed the cookies). When the cookies are dry, gather your supplies (the plain cookies, and your spray colors). Cover your work area well! I used a large paper bag, but quickly found out that was not quite enough. If you can, you may want to do this project outside. But either way, make sure you cover your work area fully. I would also suggest covering your mouth and nose with a cloth. The smell is not too bad, but I did discovered that I must have breathed in some of the coloring through my nose (I wont explain how I figured this out). 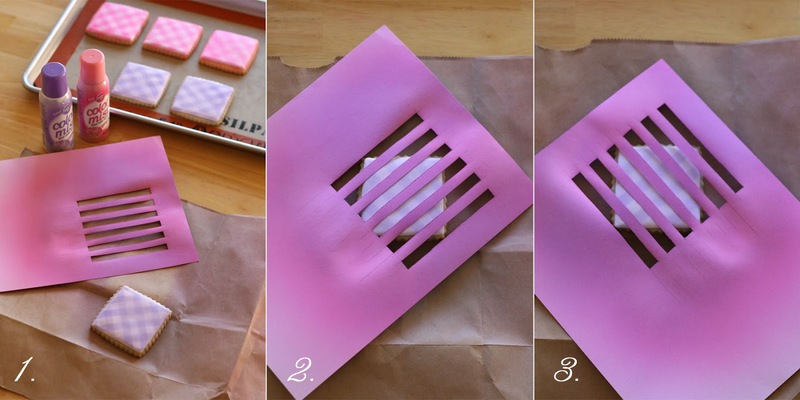 Very lightly spray your chosen color over the entire cookie. 2. Once the first layer of color has dried (maybe 10 minutes), place your stencil at a diagonal across the cookie (as pictured). Spray lightly with color. 3. Once the first stripes have dried (about 10 minutes), lay your stencil across the opposite diagonal (as shown), and spray your color. Absolutely LOVE this idea. Would even work for "picnics" in red or blue. 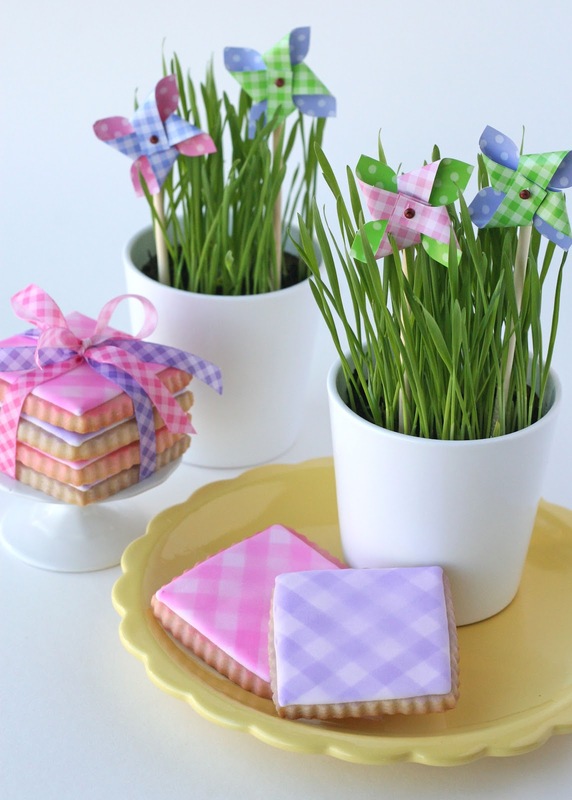 Now to find time to try them….sigh…..
How pretty and I love the way you tied them with perfectly matching ribbon. I love your cookies. the hardest part I have has been working with the color spray though I am sure it takes practice. 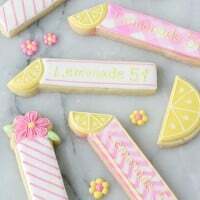 I was wondering what you think, if I was to tint the white royal icing a very light color pink..instead of using the spray on the white icing to tint it lightly. I thought perhaps eliminating one spray might give me a better result. 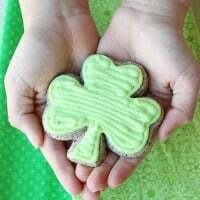 thank you for posting your fabulous cookies!!! 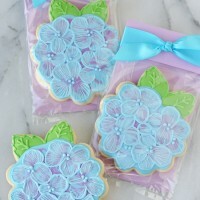 @Anonyomous- Yes, I'm sure it would work if you just ice the cookies in a VERY pale shade to match the spray color. I didn't do this because I wanted to do two different colored cookies, and was too lazy to make extra icing =) Best of luck! What a good idea!!! thanks a lot!!! i will use it soon. What a gorgeous idea, they are divine. I bet it takes some practice to get it right. Thank you Callye for this wonderful idea! I tried it with my (setting in the corner ) airbrush! I love it! Not as neat as yours but I am pleased! Thank you so much for sharing all your knowledge. I cannot tell you how much you have helped me! These are super cute. I want to try the spray mist. I attempted these, they were a flop. It was operator error though, lol. I posted them on my blog and put a link to your site so my readers could see what they were supposed to look like, lol. Your cookies are amazing. I would never have guessed you used spray coloring. How fun! Gingham perfection! Really love the soft colours you chose and your photos are magnificent! WOW! Love them so much! What size cutter did you use? thank you for a great tutorial! I can’t wait to make these. Very helpful information. I love these cookies! I must have a bit of country in me too because if something has gingham on it, it’s almost guaranteed that it is coming home with me. These are gorgeous! Do you think it would smear the color mist if I painted a monogram on top? These would be perfect for a baby shower I am hosting next month! !